Check Out Three Photos and New Poster for People Like Us. 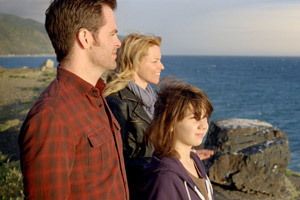 Chris Pine, Elizabeth Banks, Michelle Pfeiffer and Olivia Wilde star in the family dramedy. See the movie trailer for People Like Us below. Sam (Pine), a young salesman in debt, returns home after his estranged father’s sudden death and learns a devastating family secret. Sam must share his $150,000 inheritance with a 30-year-old sister Frankie (Banks) whom he never knew about. MPAA Rating: (PG-13) for language, some drug use and brief sexuality. 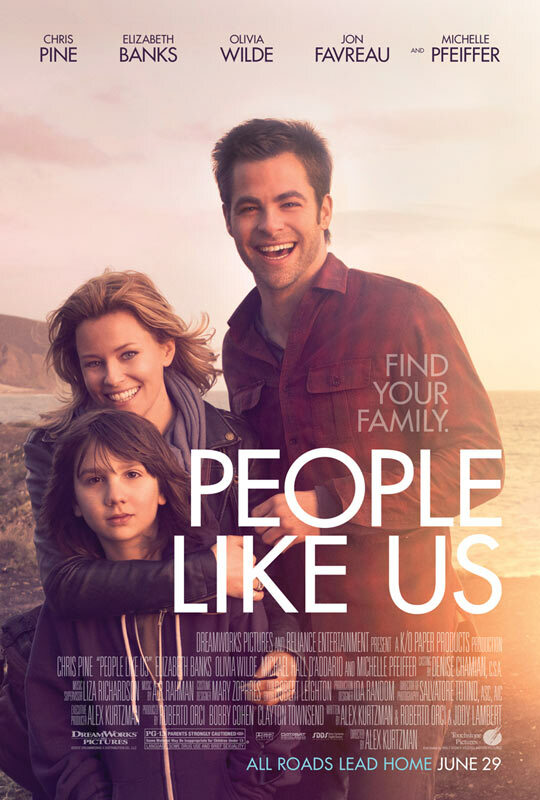 From DreamWorks Pictures comes ‘People Like Us,’ a drama/comedy about family, inspired by true events, starring Chris Pine (‘Star Trek’) as Sam, a twenty-something, fast-talking salesman, whose latest deal collapses on the day he learns that his father has suddenly died. Against his wishes, Sam is called home, where he must put his father’s estate in order and reconnect with his estranged family. 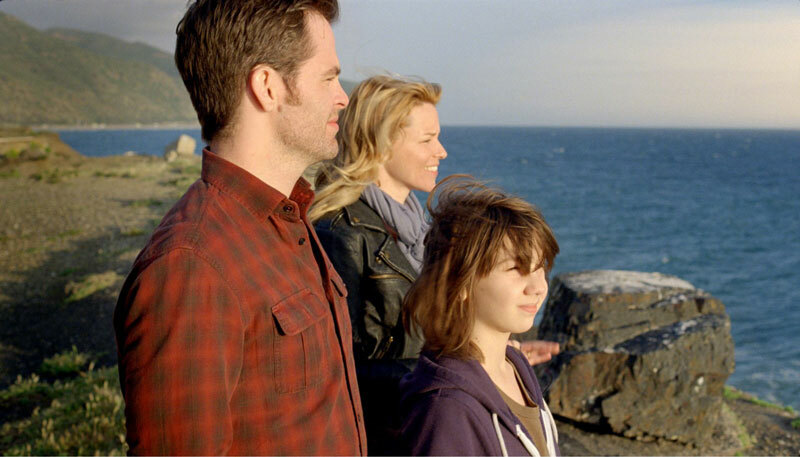 In the course of fulfilling his father’s last wishes, Sam uncovers a startling secret that turns his entire world upside down: He has a 30-year-old sister Frankie whom he never knew about (Elizabeth Banks). As their relationship develops, Sam is forced to rethink everything he thought he knew about this family–and re-examine his own life choices in the process.